Recommended "VELUX Windows Installation" near "Aylesbury"
We had 3 velux windows replaced by Arash and his colleague. They were professional and competent.The work started on time and was completed as agreed. Care was taken to protect flooring and furniture and everywhere was left clean and tidy inside and out. The price was very competitive, we got 4 quotes in all. We are pleased with all aspects of the work. I have specifically asked to the provider to write this review. Why? Because I have faced so many disappointing people in the building industry that when I see quality, professionalism and excellent service I want to encourage those behind such a good outcome for the customer. 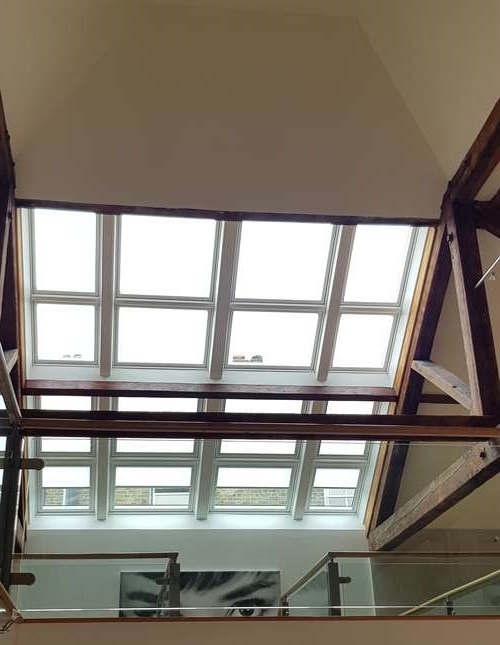 I originally found Skylight Services via the Velux website. They have responded very clearly and promptly to my quote request. Their price was very fair. We faced a setback when they came to install as our existing Velux windows had not been spaced out as per the manufacturer’s recommendation. They explained clearly the situation, readjusted the quote and came back to fit the revised material. All team members have been a pleasure to deal with from start to finish and no money was requested before my full satisfaction. The work was done in an immaculate fashion. I simply strongly recommend them for Velux-related needs.